Here is a picture of a circa 1963 boat show. Probably in the Midwest. Can you ID any of the boats? The SunFish sailboat is easy. The boat nearest the camera on the bottom of the picture of a wooden lapstrake T & T Boats, Inc. of Wausaukee, Wisc. Are those some Cruisers, Inc. boats left of center? This came from the archive of the former WesCraft Boat firm from Kansas. I am sorting it and scanning it at the present time. The bow sticking out from the sail boat mast looks like my Cruisers 202, thats a pair of Johnsons just below. I have several boat show shots from Fort Worth in the late 50s, I will post. Here are some shots from Fort Worth, TX Boat shows. Not sure of year but from Marion Herring Boat Dealer in FW He was a Chris Craft Dealer. This family company had a huge impact on this area, they were involved in early hydroplane racing and populated Eagle Mountan Lake with Wooden Chris Crafts and boats of their own design. Thanks to Trey Herring for saving and sharing. WOW, are these pictures cool!!! 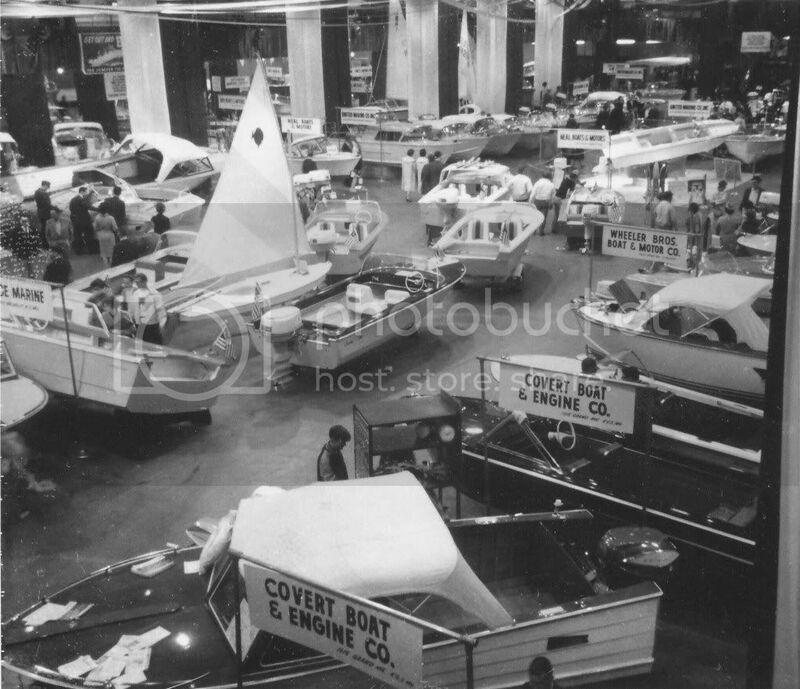 I went to a few boat shows at the (then) NY Collisium with my Dad in the early '60s. I wish I had taken my Brownie StarMite with me.